SCVHistory.com LW3054 | Lebec | Dining Room, Hotel Durant, 1922. 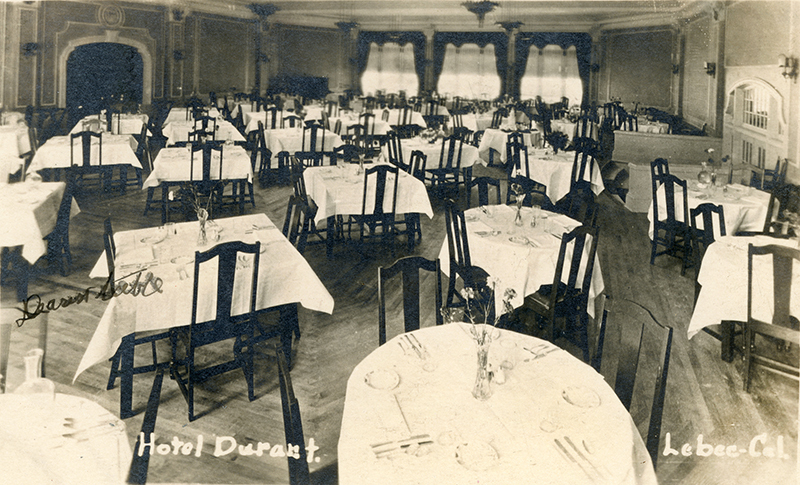 Early photograph of the dining room of Hotel Lebec when it was still known as Hotel Durant. 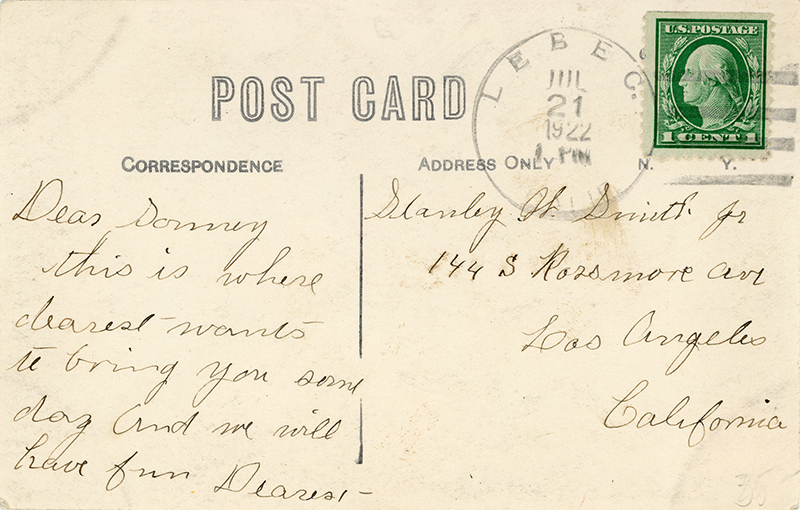 Postally used real photo postcard, canceled July 21, 1922, at Lebec. This is where dearest wants to bring you some day and we will have fun. LW3054: 9600 dpi jpeg from original RPPC purchased by Leon Worden.